Ya Jagoff!!! 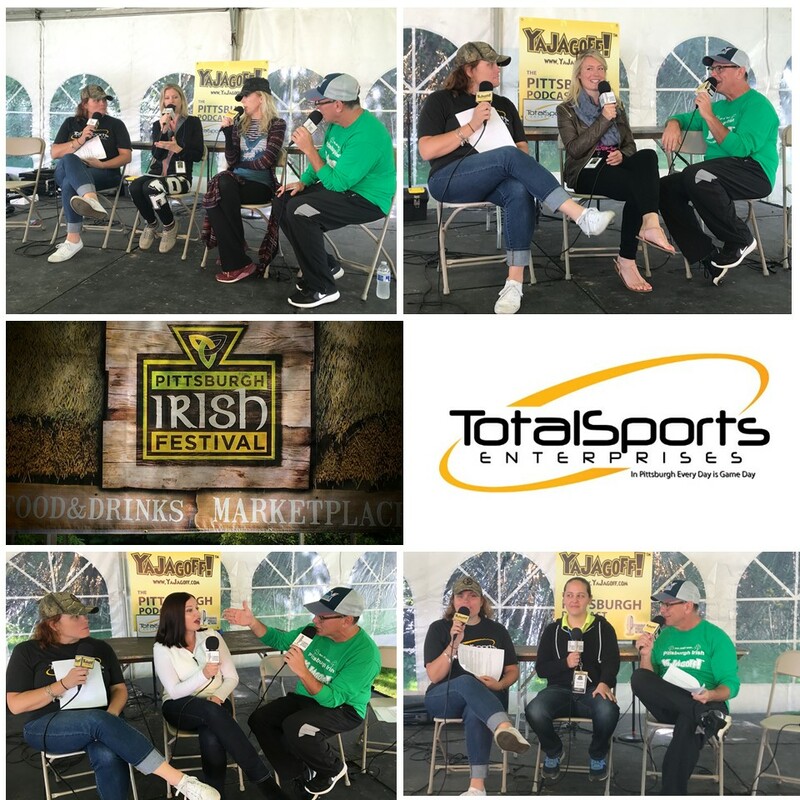 | #YaJagoffPodcast - 85 From The Pittsburgh Irish Festival with an All-Female Cast (almost). #YaJagoffPodcast – 85 From The Pittsburgh Irish Festival with an All-Female Cast (almost). Listen to the podcast by clicking the arrow below. If you don’t see the player bar above, click HERE to listen to the podcast while you work, rest or play. YaJagoff! Podcast – Show Notes: Episode Music: A combination of Katie Grennan from Gaelic Storm and Joan, Angela, Grainne and Marie Theresa of the Screaming Orphans. 01:07 Episode 85! We have a new regular co-host. She’s been with us before–Rachael Rennebeck is the new co-host. And YaJagoff has your chance to win 2 tickets to the September 16th rookie signing just by giving your suggestions! Starting Tuesday, watch for your chance to ask the right rookie questions and if yours is chosen, you could win 2 VIP passes to the signing at the Mall at Robinson starting around 1 p.m.! Be sure to check out TSEshop.com and listen to Ya Jagoff! 04:35 Mairin Petrone, Executive Director of the Pittsburgh Irish Festival talks about the over 20-year legacy of the event. Follow the Facebook page for updates, only 360 more days until it starts again. 12:31 Wexford, PA native, Katie Grennan was a huuuuge fan of the band Gaelic Storm. In June, she became a fiddler in the band and is now touring with them. Plus, she explains the difference between a fiddle and a violin. 26:55 Kristen Doerschner is an Editor at the Beaver County Times. Before becoming an editor, she lived the exciting life as a crime reporter. She has chased police cars and was even caught on TV news, by her mom, at a crime scene, in her pajamas. Thoughts out to our producer Wayne Weil who was attending his father’s funeral.